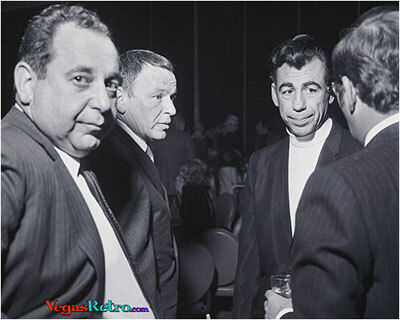 Frank Sinatra found a home in Las Vegas, as did well known businessman Kirk Kerkorian. Here the two share cocktail talk at one of Sinatra's famous parties. We're not sure who the other Gentleman is. If you know his identity, please drop us a line.